Prof. Matthijs Hesselink (1968) received his M.Sc. degree in Human Movement Sciences from the faculty of Health Sciences, Maastricht University. In 1997 he was awarded his Ph.D. for studies towards metabolic and structural plasticity of skeletal muscle tissue, resulting in his thesis entitled ‘Structural, functional and metabolic aspects of shortening and lengthening muscle contractions’. In 2010 he was appointed Professor of Human Movement Sciences. During his Ph.D. training he applied multiple microscopical imaging tools and was trained in quantitative immunoelectron microscopy organized in Dundee (UK) by the European Molecular Biology Organization (EMBO). His current research focuses on cellular lipid droplets as dynamic organelles pivotal in the modulation of lipotoxicity, mitochondrial function and insulin resistance. For this research, partly outlined in the project ‘Setting fat on fire’, he was awarded a prestigous NWO-VIDI grant for innovative research. Within the European Network of Excellence on Nutrigenomics (NuGO) he has chaired a focus team on lipid induced insulin resistance in cultured (human) skeletal muscle cells. Within the NanoNext program on the molecular structure of food he runs a project on the characterization and molecular control of cellular lipid droplets. From 2006-2013 he chaired the department of Human Movement Sciences. Dr Hesselink is frequently involved in (co)organizing international meetings. He is a member of American Diabetes Association Scientific Sessions Exercise Subcommittee. 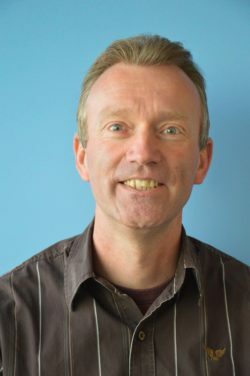 He served as a guest editor for a special issue of the Proceedings of the Nutrition Society on ‘The biochemical basis for the health effects of exercise’. Dr. Hesselink has (co)authored ~150 papers in peer reviewed leading scientific journals in the field (Diabetes, Journal of Clinical Investigation, Cell Metabolism, Nature Medicine, PNAS, Journal of Clinical Endocrinology and Metabolism, Journal of Lipid Research).